The man didn't speak, the result of a stroke a few years before. My dog Grady was drawn to him, of all the residents in the nursing home we were visiting that day. Grady sat in his lap for nearly an hour, allowing the man to pet him. You could see in his broad smile and gentle touch that this time with Grady meant the world to him. 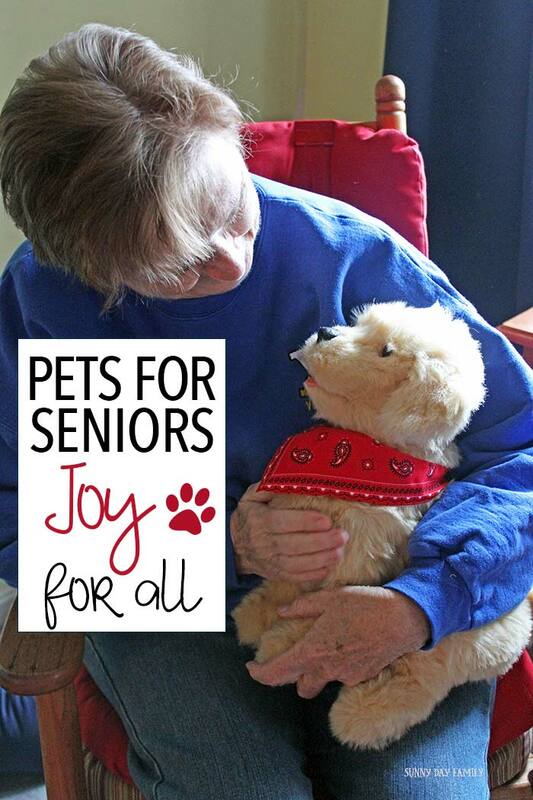 And it was in that moment that I realized the true joy of pets for seniors. And now that my mom is a senior too, I've found an amazing way to bring that joy to her as well. We had a dog for most of my childhood, and I inherited my love of dogs from my dad. But after he passed away nearly 3 years ago, my mom did not feel that she could care for a pet on her own. But I knew she missed the companionship that a pet can provide. 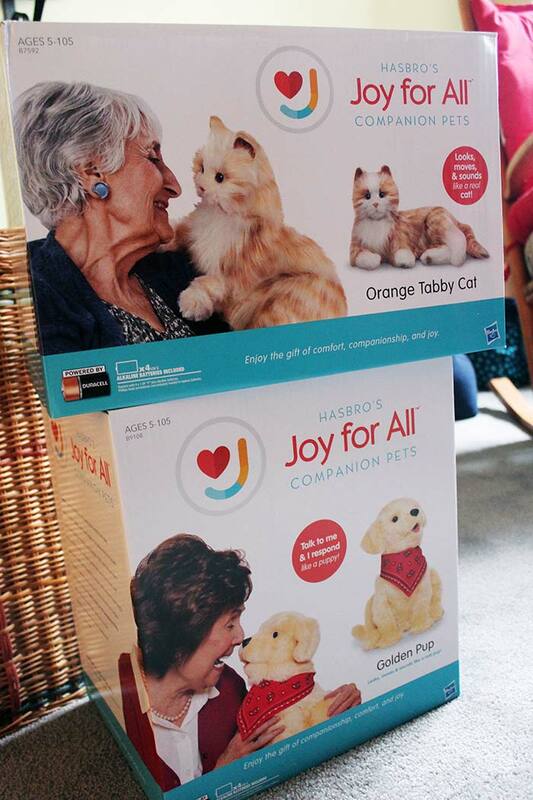 I found the perfect solution (and the perfect Christmas gift) in Hasbro's Joy for All™ Companion Pets. 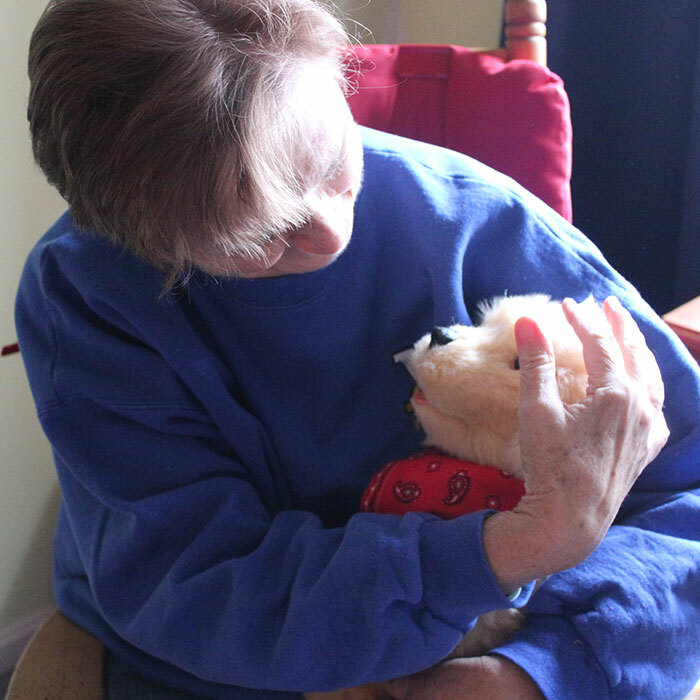 When I discovered the Joy for All Pets, I knew the Golden Pup would be perfect for my mom. 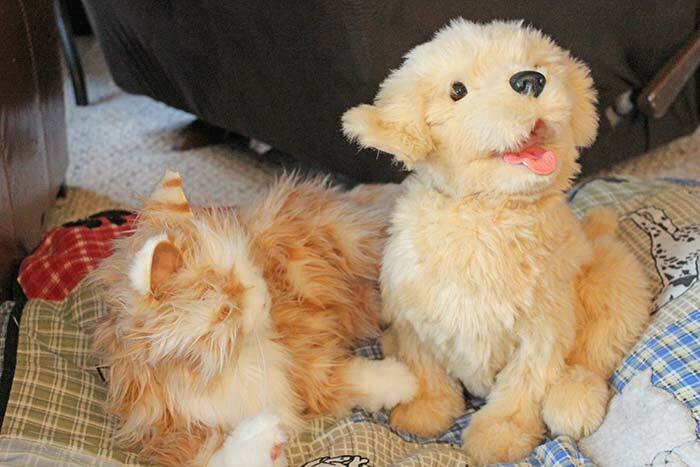 As my four year old described it, "it's like a stuffy, but like a real dog too!" The Joy for All Pets bring companionship and fun with amazing and unique two-way interaction. I could not wait to give her the pup and see what she thought! As I expected, my mom just fell for the cute little pup. 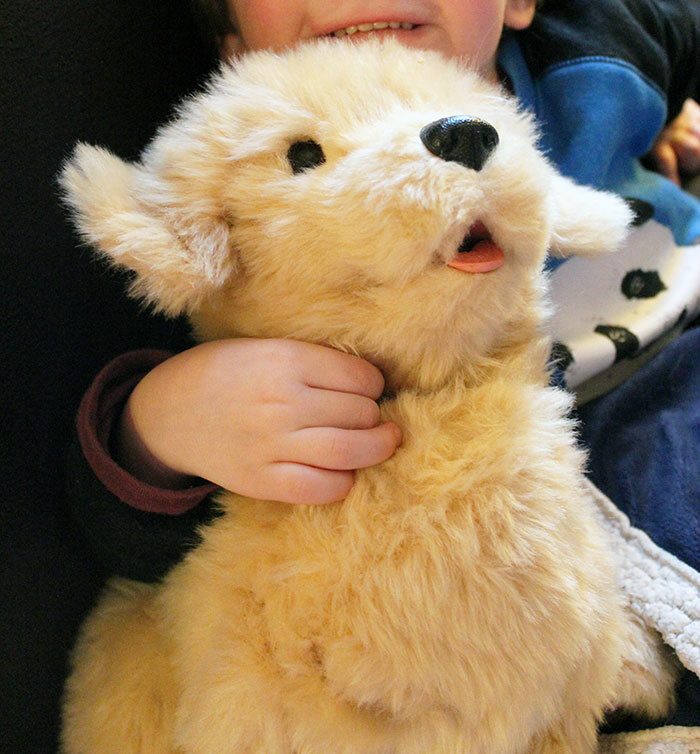 He has realistic, soft fur that looks and feels like a real dog, and he actually responds to motion and touch! He looks at you when you speak and even responds. My mom loves having those familiar dog sounds in the house again, and the companionship that a dog brings. But, she also likes that she can turn him on and off - and there's no taking him out for potty breaks. The Joy for All Pet Pup is a perfect solution for my mom to have companionship without the responsibility and expense that comes with a live pet. She's also really excited to share him (and the super realistic Joy for All Pet Cat too) with her neighbors in her retirement community. Many of her neighbors are pet lovers too, who are not comfortable caring for a pet any longer but miss the joy that dogs and cats bring to their lives. And since Grady and I can't visit as often as we'd like, now she can "share the joy" with them through her new pup! Want to see how awesome these pets are? Check them out in action below! The Joy for All Pet Pup is living up to his name - he is spreading joy, laughter, and companionship to not only my mom, but to her grandchildren that visit, and her neighbors and friends too. Want to share in the fun with your loved ones? Just visit JoyForAll.com to get your own Joy For All Companion Pet, and use the coupon code JOY2016 for 10% off your purchase! Want to spread even more joy to the seniors in your life? Try our kindness postcards project (with free printables)!